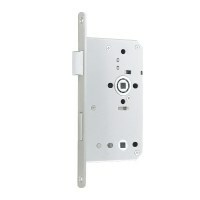 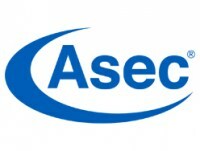 Asec Din Bathroom Mortice Lock that is CE marked and conforms to EN 12209. 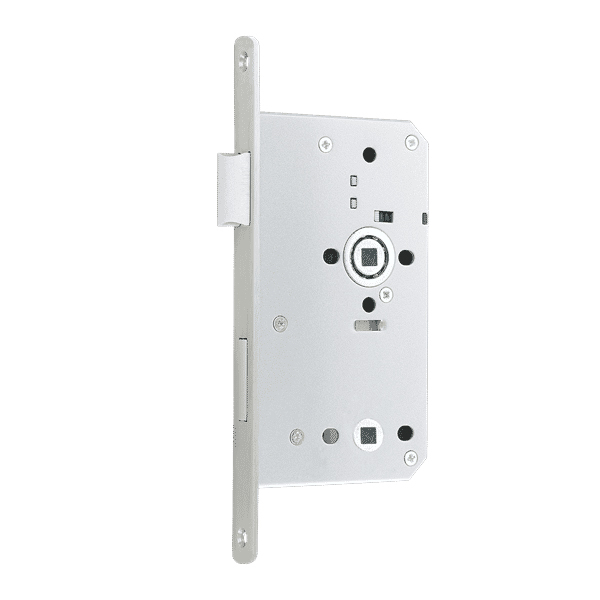 This bathroom mortice lock has a silver powder costing that protects the lock against the elements and provides excellent corrosion resistance. 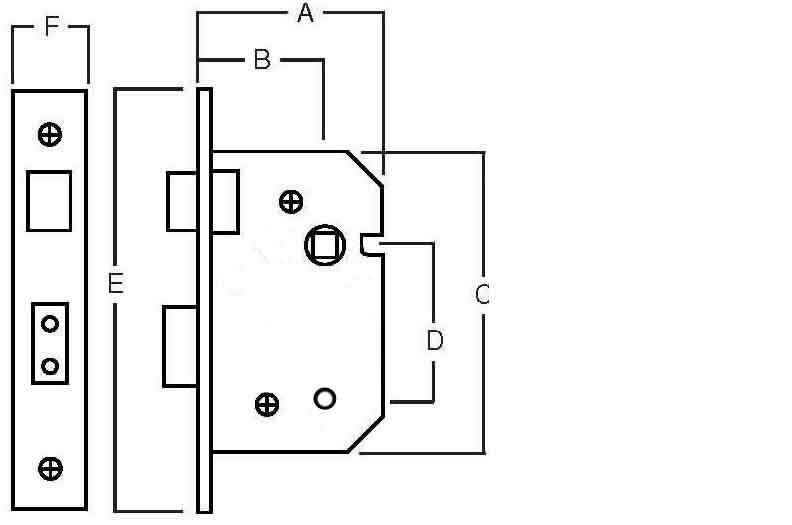 This lock is part of a modular set of locks all with the same measurements, which allows for easy standard installation and lock interchangeability. The latch bolt is operated by unsprung lever handles from either side and the lock bolt is moved by indicator bolt, which will also show that the toilet / bathroom is in use. 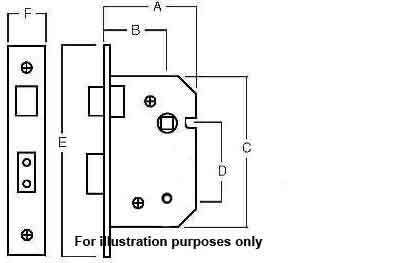 Handle is used on the inside or outside to withdraw the latch bolt. 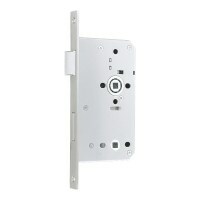 Bathroom indicator set is used from the inside to lock and unlock bolt, with indicator on the outside to show the bathroom / toilet is in use.